Not very many poets can overcome life-altering hurdles yet still sustain an engagement with abstraction and perception as well as an adventurous and interesting career. Norma Cole is a rare exception. In her new book, Natural Light, she captures the extraordinary in the everyday—and investigates the ever-present—light, color, body, war, love, language—through a sharp and witty musicality that is as radically new as it is the very core of what her poetics have always been about. Natural Light continues her engagement with the political through the personal and the poetic, and takes us into extraordinary modes that are new and strange for both the reader and the poet. 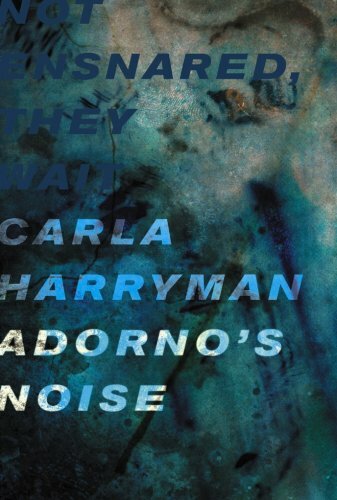 Cole is a translator, a painter, and a frequent collaborator with visual artists; the last section of her new book is the textual counterpart to her site-specific installation at The Poetry Center in San Francisco, and called Collective Memory. Norma Cole suffered a stroke six years ago that resulted in aphasia, and Natural Light is her second collection since. In it she explores language, its production and use, through ever shifting lenses of the self, the local, the political, and the human. Written as a way to step back into language, which remained absent from her thinking during her illness, Natural Light is striking in its simplicity; she has never attained such effortless and understandable abstractions before. 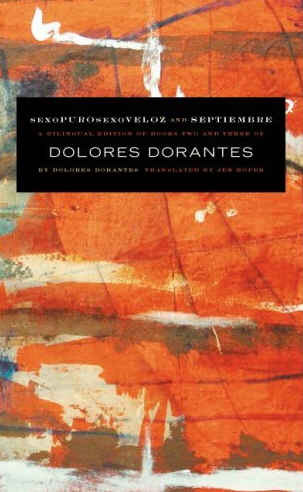 The first part of the book is a series of short poems titled Pluto’s Disgrace, in which Norma Cole sets a tone, in a language that captures the entire scope of perception, minutely; "payload the dreamscapes/in astronomical units/a nice gentle city—there", she writes. The universal and the personal, the imaginative and the astronomical not only mesh and coalesce, they also reflect in and as each other—"life/was the other life”—as she writes in concluding the poem, Salto Mortale. Pluto’s Disgrace is a colorful kaleidoscope in which each fragment is a poetic unit in service of a private language, its repeated loss and recovery transforms the body into a figure, the personal into the universal ("of history, empty or full/scared the daylights out of the name"). Troops, borders, and soldiers recur in this book—so do bombings, fires, and buildings—but their repetition creates a rhythm. The images are cinematic. The rhythm forms a character. The war or the body repeatedly mentioned in her poems, are not just hers or America’s but gain a universal significance, each poem’s unique and consistent musicality switches effortlessly from the universal to the local, and continues to zoom in further, till they arrive at the molecular—the very soul of a substance—“whatever immaculate architecture/in a flash” . Pluto’s Disgrace is a colorful kaleidoscope in which each fragment is a poetic unit in service of a private language, its repeated loss and recovery transforms the body into a figure, the personal into the universal ("of history, empty or full/scared the daylights out of the name"). The second section, In Our Own Backyard follows with short yet structurally complicated series of poems that bridge the gap between the words that repeat in the first section with the science behind their acquisition and ultimate dissemination as expressions of a self (?). The self might not be autobiographical, but the palpably omnipresent. In this middle section, the focus is on the immediate, the local, and a series of poems reads as an observation over time—a time-based painting perhaps—in which tiny perceptions capture parts that make sense in relation to one another. That’s what their relationship is—a meaning—that of the poem—which has nothing to do with their occurring. The narration is a correlate of the everyday images Cole captures in her fragments, their illustration. Collective Memory, the concluding section, begins with this seeming self-explanatory fragment of language: "Speech production: themes and variations", though it actually deeply questions its own ontology. It is language falling back on itself and touching upon an experience without a narrative. The writing consists of quotes, lists, litanies, that perform a sort of production on the page that has already existed without it before—as part of an exhibition. The language here is from an installation which the poet wanted to be a book people could walk into, with fragments of language as the four walls of a room. And that’s the perfect conclusion to a book of poems—a poetry that has already existed outside the page or book—an immanence. 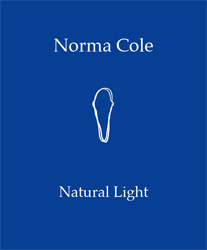 Norma Cole is the author of many books of poems, beginning with Mace Hill Remap, and followed by Metamorphosia, My Bird Book, Mars, Contrafact, Moira, Spinoza in Her Youth, Do the Monkey, and most recently: Where Shadows Will: Selected Poems 1988-2008, and Natural Light. She is a translator, visual artist, and curator. 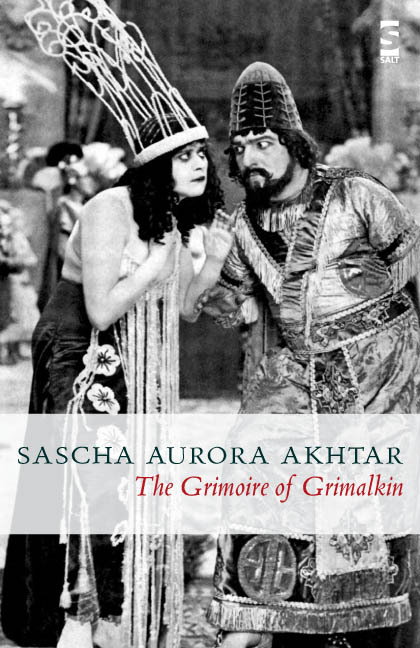 Allied with French poets such as Jacques Roubaud, Claude Royet-Journoud, and Emmanuel Hocquard, she was also a member of the circle of poets around Robert Duncan. Originally from Toronto, Norma Cole has lived in San Francisco for over 30 years, having moved there in the late Seventies, after living in France for a few years. Natural Light by Norma Cole (Libellum, 2009) ISBN 0-9752993-6-0 81 Pages. Biswamit Dwibedy lives in Bangalore and works for the India Foundation for the Arts. He has a MFA in Writing from Bard College, New York, and lived in Iowa City for many years. 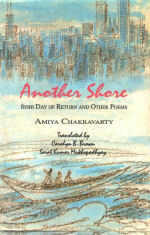 His first collection of poems, Ozalid, is forthcoming from 1913 Press in 2010.